Exercise, meditation, drinking milk, buying a new pillow, quitting caffeine and counting sheep…these are just classic examples of ways to chase that elusive good night’s sleep. But one of the most commonly used sleeping aid is taking sleeping pills. In fact, statistics show that nearly 9 million Americans take prescription sleeping pills. That is roughly 15% of the 60 million people in the United States suffering from sleep disorders. If you find that alarming, then take note that those findings do not even include people who take over-the-counter sleeping pills. Many people who take sleeping pills are usually unaware of the risks that are associated with these drugs, thinking that sleeping pills are harmless. This lack of understanding often leads to taking sleeping medication longer than the prescribed duration of use. While sleeping pills may be an effective method to treat sleeping disorders for a short-term period, continuous use and dependence on sleeping pills may cause addiction and may even lead to dangerous side effects. What are the most common sleeping pills? If you find it difficult to go to sleep at night, considering sleep medications may be an option for you. There are many different kinds of drugs that can help you fall asleep. The two main classifications of sleeping pills are: prescription medications and over-the-counter sleeping pills (OTC). Both are considered sedative hypnotics which are a class of drugs that induce or maintain sleep. What are OTC Sleeping Pills? You can buy over-the-counter sleeping pills without a prescription from a doctor. Most of OTC sleeping pills are antihistamines that typically has a relaxing effect that can make you feel drowsy. People who encounter temporary sleep problems due to travelling or change in work schedules may find these pills effective as a short-term solution. What are Prescription Sleeping Pills? If you are suffering from severe insomnia, you may visit a doctor to seek medical advice. Depending on your condition, your doctor may prescribe sleeping pills to help you with your problem. Here are some of the different types of sleeping pills commonly prescribed to induce or maintain sleep. Why do people take sleeping pills? According to the Center for Disease and Control Prevention, sleep deprivation is now a public health epidemic with millions of Americans not getting the required snooze time. While many people don’t get enough sleep by choice, there are also people who have a hard time falling asleep due to sleep disorders. There are several factors that trigger sleep disorders such as stress, anxiety, depression and medical issues. People who have long work days and long commutes often wake up early and sleep late at night developing irregular sleeping patterns or a habit of not getting enough sleep. Taking stimulants for increased energy like caffeinated beverages to make up for loss of sleep also contribute to inability to sleep the following night. Another aspect that affect sleep quality is the emergence of new technology such as smartphones, the internet, video games, social media and non-stop video streaming. While some people may lose one or two nights of sleep because of these factors, these can also lead to serious insomnia or low sleep quality. Numerous studies prove that not getting enough sleep poses different harmful effects. Lack of sleep makes you feel tired and lethargic, eat more, lose productivity and it can even be dangerous if you are driving or operating a sensitive machinery. To avoid the frustrations caused by another sleepless night, many people turn to the easiest way out- sleeping pills. Just like any drug, taking in too much of anything is bad for you, including sleeping pills. For people who have suffered greatly due to lack of sleep, the sudden relief brought by just one night of continuous, good quality sleep may be enough reason to keep taking the meds. OTC sleeping pills are generally considered safe. However, while taking one or two OTC sleeping pills occasionally to cure your jet lag may be harmless, taking these OTC drugs every night can be habit-forming and may lead to psychological dependence and addiction. OTC sleeping pills are often recommended as a temporary solution and should not be taken for more than two weeks. Prescription sleeping aids should be taken while being closely monitored by a medical professional. There are accounts from people who continuously used Zolpidem and became overly dependent on the drug. They found that they are not able to sleep without the aid of the drug and as they developed tolerance for the drug, so increasing the doses became the natural next step. Are you wondering if you are already suffering from sleeping pill addiction? Here are some of the common signs of addiction. You continue taking sleeping pills way beyond the recommended prescription duration. You find that you cannot sleep anymore without the aid of a sleeping pill. You start doctor shopping to get prescription sleeping pills. You are increasing the dosage of sleeping pills because you are already developing tolerance. You are taking the drug recreationally to get high, relaxed or drowsy, even if it is outside your normal bed time. Depending on the type of meds you are taking, the side effects of sleeping pills may vary. Here are some of the common side effects observed from sleeping pill addicts. How to stop sleeping pill addiction? Because sleeping pills may seem like a harmless drug compared to heroin or meth, many people think that going cold-turkey may be enough to solve their addiction. For people who have depended on these pills for a long time, they then find themselves experiencing withdrawal symptoms like rebound insomnia which may be more severe than their previous sleep issues. Sleeping pill addiction is a serious substance abuse problem but it can be cured. Going into a drug rehab that offers programs to help you manage your condition is recommended. 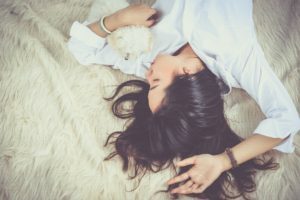 Studies show that programs such as Cognitive Behavior Therapy or CBT can be used as an effective way to treat sleep disorders like insomnia and its effects are even shown to be more durable compared to medications. At the Lighthouse Treatment Center, we offer Cognitive Behavior Therapy that can help treat underlying behavioral and emotional problems causing your addiction. We also introduce different activities that can help you gain better sleep such as sports, exercise, yoga and meditation. If you or a loved one is suffering from drug abuse issues, help is available today. Contact Lighthouse Treatment Center to learn more about our specialized modes of treatment that can help.